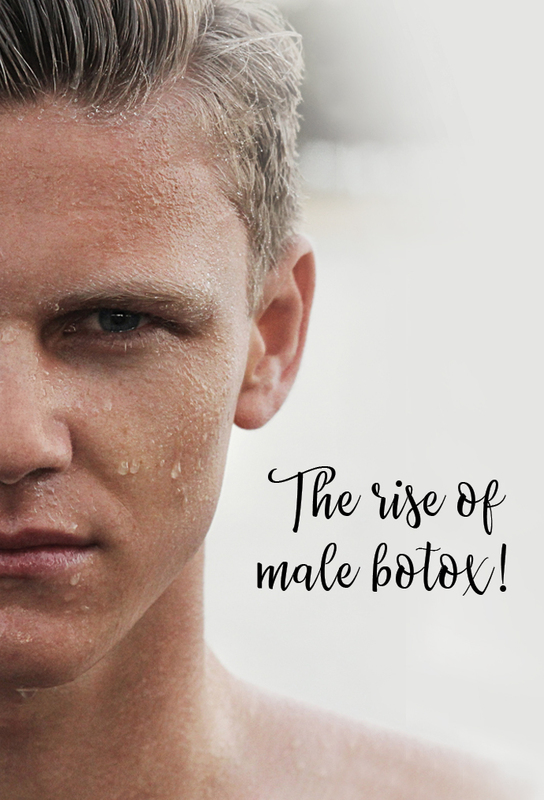 Brotox - Cosmetic Injections for men are on the rise! Brotox – Cosmetic Injections for men are on the rise! Once upon a time Botox was a treatment almost exclusively taken by women. How times have changed! More and more men are adding Botox to their regular beauty routine, and this rising trend has led to the coined term “Brotox”. The cosmetic enhancement procedure, often linked to women, has now reached a wide group of men who desire to appear more youthful. Men have begun to adopt a more open attitude toward cosmetic procedures and have become more aware of the treatments available to them, as the age range of men being treated has widened. The BRO culture has fostered recent trends like the Hipster beard transplant, and now ‘Brotox’. If we look back 5-10 years, you would find a far lower number of men willing to have cosmetic treatments to improve the way they look. This not because they did not want to undergo the cosmetic injection procedure, but perhaps because they were embarrassed or did not want others to see them as vain. Now, however, perceptions have changed and people don’t associate cosmetic treatments solely with women. Botox does not have the same stigma as it once did. Also, increasingly men in the public eye are looking younger and healthier far later in life. This is another factor that may be having an impact on the number of men considering the possibility of undergoing cosmetic procedures. Over time the age range of men being treated with Botox has also widened. Where it was once predominately men in their 30s, now we see more men in their 40s and 50s. At Nirvana Beauty Laser Clinics, we treat men in a wider range of professions. Those whose appearance is an important part of their job, those in competitive environments and those who have to have direct contact with clients or customers every day, are the men we probably see most often. The priority for a lot of men is to look subtly younger by removing or reducing the visibility of lines around the eyes, forehead and mouth. Because let’s face it, aging is rarely graceful. Graying and thinning hair, wrinkles, and a waning libido can make you feel your age. Cosmetic injections have been proven to remedy laugh lines, crow’s feet, and glabellar lines between your brows to make you look younger. Unlike surgeries such as facelifts that require anesthetics, cosmetic injections require no surgery or recovery time. Men particularly love the fact that the botox procedure takes only a few minutes. If you are interested in BROTOX for yourself or your partner contact Nirvana Beauty Laser Clinics for a FREE consultation with our cosmetic injector.